Water Heater Tune-Up and Maintenance in Guelph, ON is something every homeowner loathes but it is something that must be carried out regularly if you want to continue to enjoy the benefits of an efficiently operating system. Hot water is sometimes, actually more often than not, taken for granted and it doesn’t cross your mind until the tap runs cold. Allow B.A.P to carry out your Water Heater Tune-Up and Maintenance in Guelph, ON. We are the professionals in the area that the community has trusted with their hot water requirements since our inception and through the years they have continued to support our efforts and results. 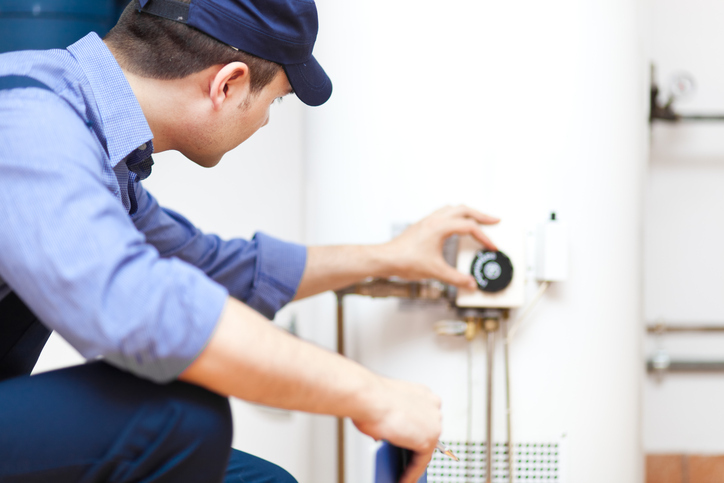 Many first time owners of a water heater may be under the impression that regular Water Heater Tune-Up and Maintenance in Guelph, ON is simply a means to make money from unsuspecting customers, however, a seasoned owner will realize the importance of it. Maintenance is an imperative part of owning a water heater. This mechanical equipment consists of many moving parts and different heating elements and thermostats which are all prone to wear and tear. If you consider how often your water heater is used on a daily basis, you can understand the extent of wear and tear that is inevitable. Regular Water Heater Tune-Up and Maintenance in Guelph, ON is your first line of defense against failure due to degradation of the parts. It is true to say that maintenance will never prevent breakdown or the need for repair, however, in many instances it will prolong the event and your associated discomfort and the cost implications imposed. Any client to us deserves to be treated with respect and honesty and that is exactly what we do. We provide maintenance services on your water heater that are thorough, regimented and organized. We carefully go over each and every part of your equipment undertaking minor repairs where necessary. Potential problems or larger concerns are recorded and noted and if need be priced after the completion of the maintenance service. We ensure that our technicians are safe to work on your home and won’t pose any risk to your family. Our screening process before employment is geared towards that very fact. Our tech team is professionally trained, skilled and experienced in the field and completely competent at overcoming obstacles that may cause hindrance. You can rest assured that when leave your home, your hot water will be giving off that customary steamy residue that makes you warm on the inside and out. Call us today if you have forgotten your water heater maintenance or if you feel your water heater just isn’t performing up to scratch. We’ll evaluate and offer our honest opinion on the matter. For those with busy schedules that leave little time to spare any thought on water heater maintenance, we offer maintenance plans that are affordable and convenient. Make your hot water our problem and your pleasure today. Proud to be providing Water Heater Tune-Up and Maintenance in Guelph, Rockwood, Milton, ON and the Surrounding Areas! It’s our hometown and your comfort is our business. Contact us today.